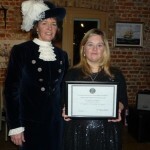 SENIOR SECTION MEMBER-NATALIE-GAINS HIGH SHERIFF’S AWARD. 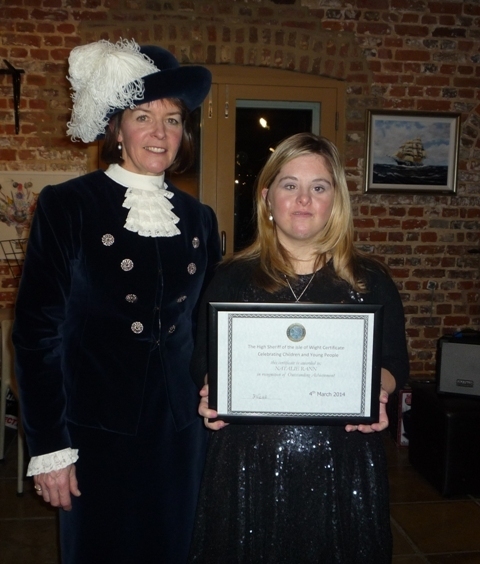 Natalie Rann a member of Girlguiding’s Senior Section with Carisbrooke Rangers has been presented with The High Sheriff’s Award for 2014. Natalie was a Guide before progressing to Rangers and is a well known member of her unit. Her nomination read: ’ Natalie whilst she was a student at Carisbrooke High School (now Carisbrooke College) undertook Food Technology and some basic skills lessons. She found Food Technology easier to cope with than some subjects and after 3 years of study it was decided to enter her for a full GCSE in the subject. Whilst undertaking some of the practical cookery she also gained several AQA accredited certificates helping her self confidence. She passed the exam and after 6th Form at Carisbrooke went on to further study in related subjects at IW College. Natalie has developed from a shy and sometimes confused 13 year old to a young woman with more confidence. She is a great dancer and took part in the school’s Global Rock productions as well as other school productions. 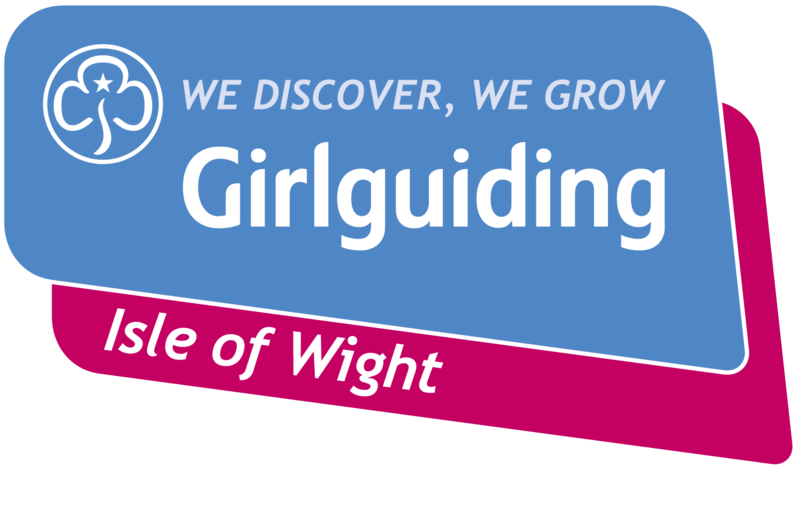 At Girlguiding events she undertakes all the activities with the other girls including camping skills. She especially enjoyed an all Island camp at Bembridge with hundreds of girls attending. Now a Ranger (Girlguiding Senior Section) she joins in all the activities and discussions with the other Rangers including helping others in the wider community.